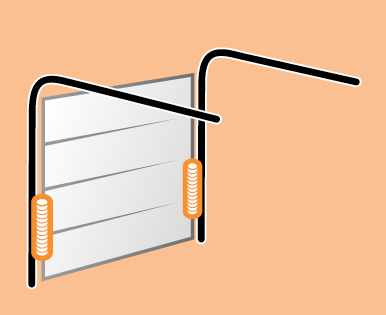 Garage Door Types Explained. Video Guides. 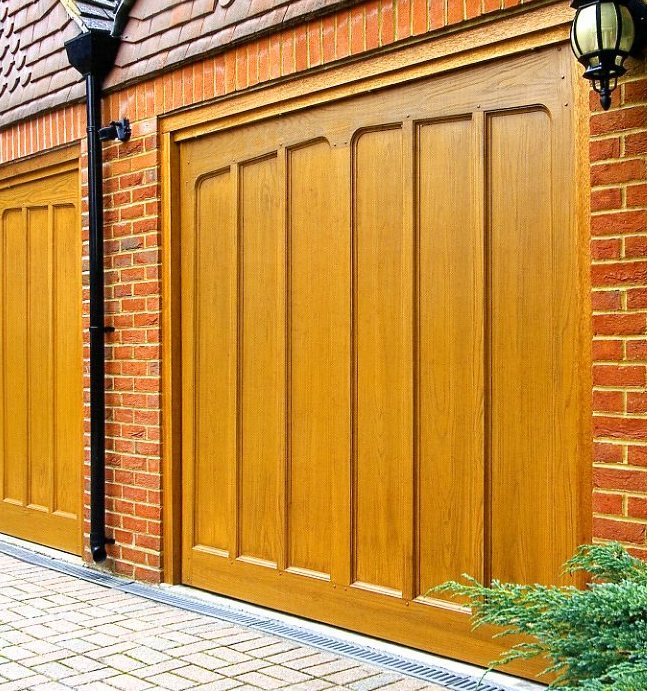 roller garage doors, side-hinged garage doors. There are a large number of makes, models, sizes and finishes available for all four types. 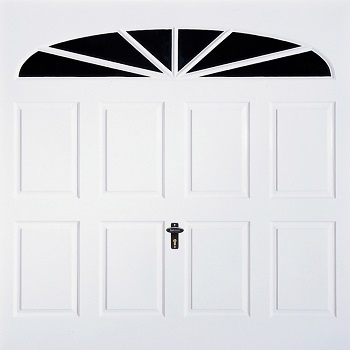 Please see below our video guides explaining the advantages of each type of door. 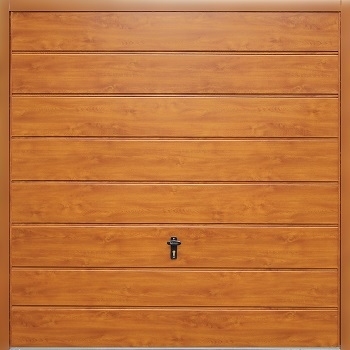 Also see our video "How to Measure" guides for all types of doors. Up and over garage doors. 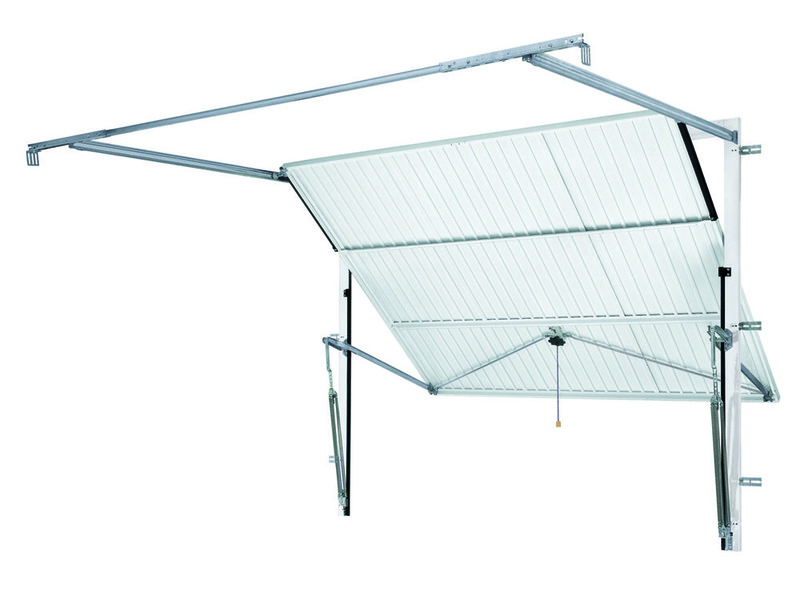 Canopy and Retractable types. Canopy mechanism up and over door. 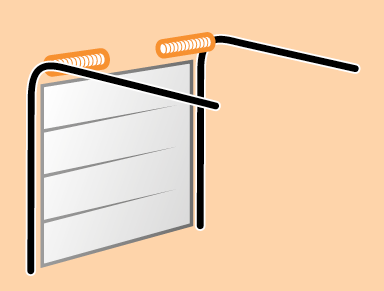 The Canopy door operates in vertical tracks on the doors side frame. Cable operated. 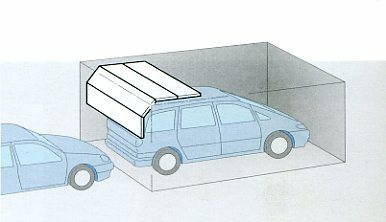 When fully open the door forms a canopy of approximately a third of the door's height. Easy to fit. NOT ideal for automation. 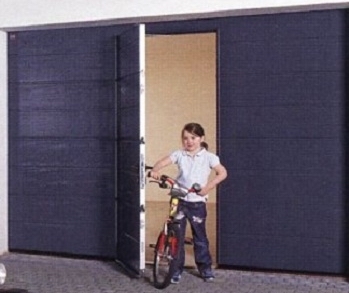 Can come pre-installed on a factory fitted steel frame for easy fit as shown in photo. 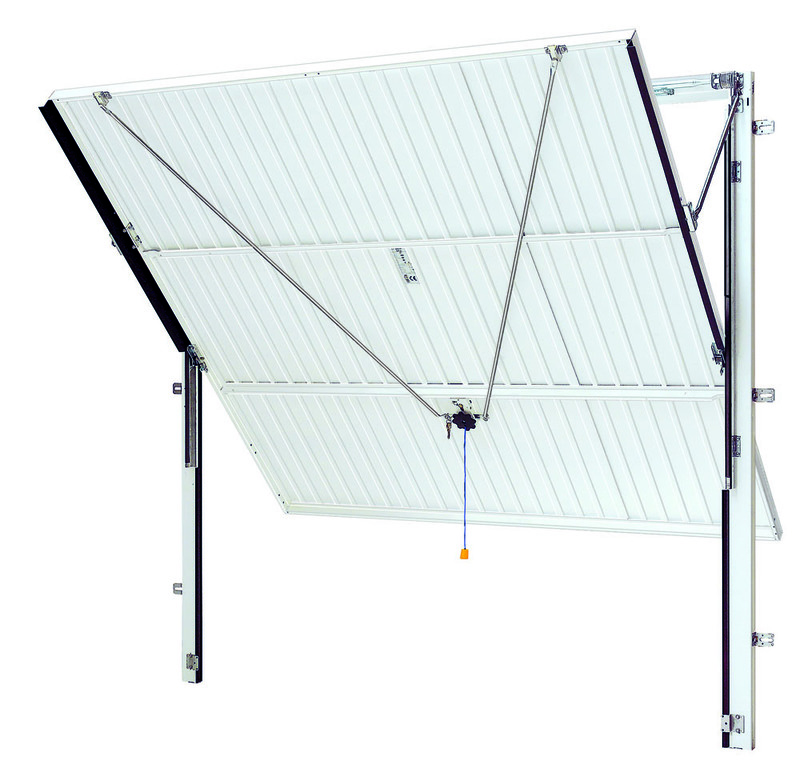 Retractable mechanism up and over door. 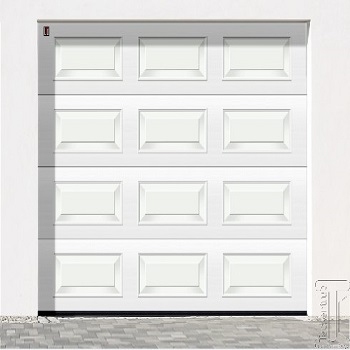 The Retractable door is guided by horizontal tracks inside the garage. Retracts completely when fully opened. Easy to fit. Ideal for automation. 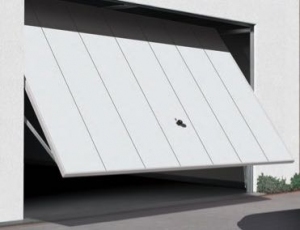 Sectional garage doors. Single doors on Z tension springs. Double doors on N torsion spring assembly. 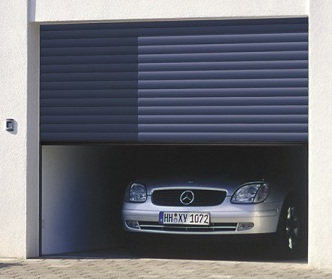 Sectional garage doors maximise drive through width as they are fitted on the rear face of the garage opening. 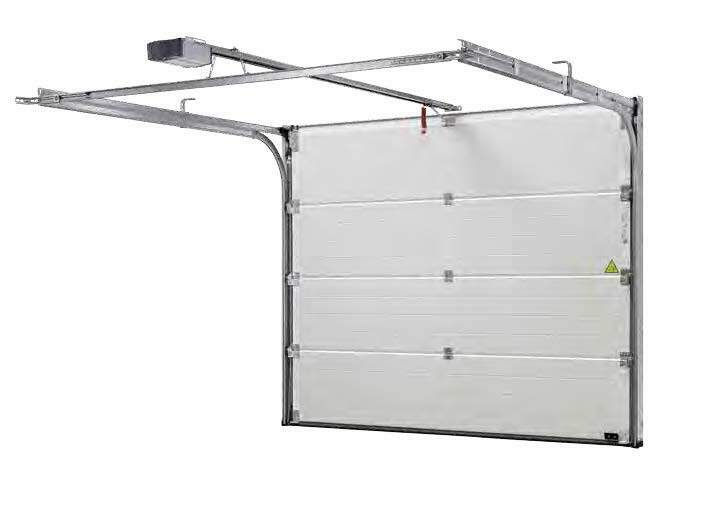 The sectional door opens vertically - you can park in front of the door and still open it. Neat rubber seals all around the door. Ideal for automation. Easy to install. 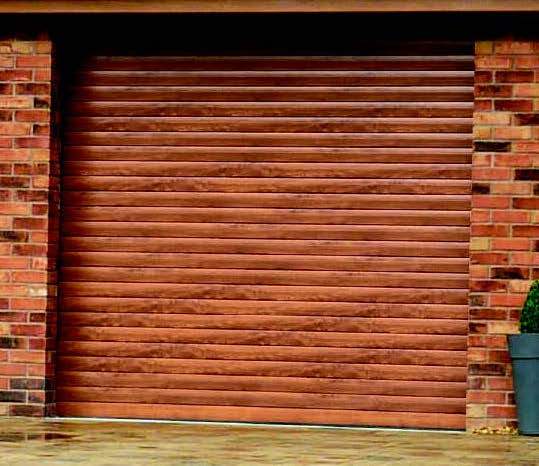 Roller shutters are fitted on the rear face of the garage opening, maximising width and removing the need for a timber frame. Always supplied fully automated. Neat full box housing covers the roller assembly completely giving a very neat finish externally and internally. Give thermal and acoustic insulation. Can be fitted between brick piers and under the lintel, or externally, if required. Includes courtesy light, and optical bottom edge safety device. 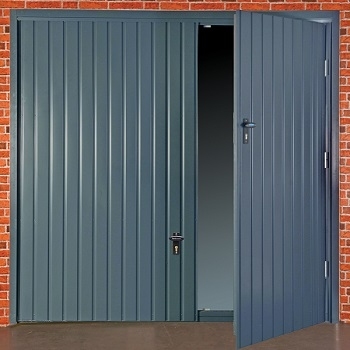 All insulated roller doors are made to measure at no extra cost from 3 ft wide to 19 ft wide, Hormann Rollmatic are made upto 5000mm wide. 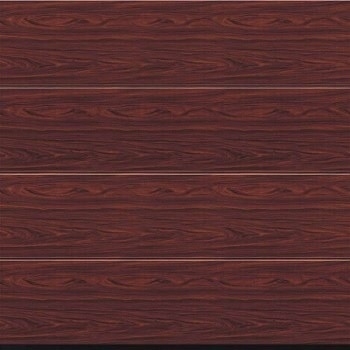 Various colours available including Golden Oak, Irish Oak, Rosewood or Mahogany wood effect. 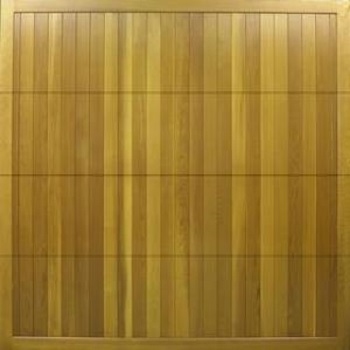 Door types gallery. 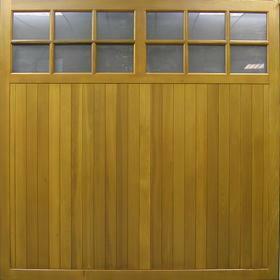 Pease click on the door type below to see the full range, available sizes and prices. Wicket in up and over.